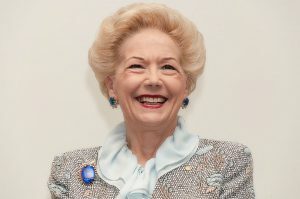 Alfred Health Week is held annually in June and showcases the research carried out by the Alfred Research Alliance in Melbourne. Activities include the Research Showcase and a Keynote Address, open to all Alliance members and the general public. In 2018, the Showcase involved a display of research posters in the corridors of The Alfred. 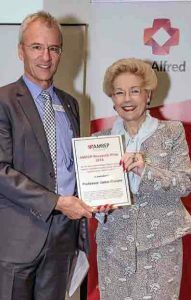 Research prizes are awarded by the Alfred Research Alliance to leading projects from across the precinct. 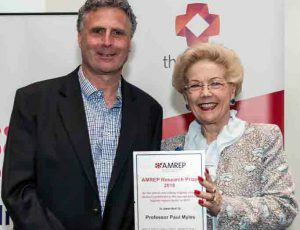 In 2018, the prize for Basic Research went to Prof Dmitri Sviridov, Baker Heart & Diabetes Institute, and two Clinical Research Prizes were awarded, to Prof Jamie Cooper, Monash University and The Alfred, and Prof Paul Myles, The Alfred and Monash University. 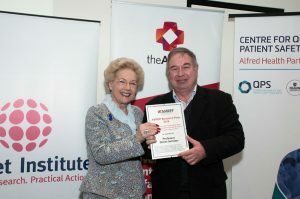 Prof Andrew Forbes (accepting the award on behalf of Prof Paul Myles). © 2019 Alfred Research Alliance. All Rights Reserved.